For some years now larger wild animals – such as lynxes, wolves, and bears – have been spreading out across Europe as existing populations grow and animals are resettled. Yet some populations are still endangered. A research team headed by the Freiburg conservation biologist PD Dr. Marco Heurich and the landscape ecologist PD Dr. Stephanie Kramer-Schadt of the Leibniz Institute for Zoo and Wildlife Research Berlin concludes that the illegal hunting of lynxes reintroduced into the border areas of Germany, the Czech Republic and Austria is having a major effect on their numbers. Their study, commissioned by the World Wildlife Fund Germany, has been published in the journal Biological Conservation. In the 1980s Czech authorities reintroduced 18 lynxes into the area now covered by the Šumava national park. At first the population grew, but for several years numbers have been falling. In the first phase following their reintroduction, the lynxes spread along the border to the north as far as the Fichtelgebirge and south as far as the Waldviertel in Austria. But in a second phase from 1998 to 2014 numbers fell and have remained low. A number of research projects have indicated in that time that illegal hunting played a big role. In order to test this, the biologists fed data on reproduction, mortality rates, mobility ecology and the area the animals transversed into a computer model; the data were collected via satellite telemetry, cameras and chance observation. The team also came up with a habitat model reflecting how suitable the area is as a place for lynxes to live. On the basis of the data the model simulated virtual lynxes which moved around a realistic simulation of the forest in which the animals live and which have the same characteristics as the wild animals. The model also took into consideration the real road network so that the virtual lynxes were able to fall victim to traffic accidents. The model therefore includes natural causes of death and the risk of being hit by a vehicle. In this way the researchers simulated various scenarios for the development of the lynx population and compare them with development observed in real life. The team found that in the first phase from 1982 to 1996 only three to four percent of the animals' mortality rate could not be explained, and the probability of the population dying out was less than five percent. In the second phase from 1998 to 2014 the unexplained mortality was much higher – 15 to 20 percent – and is likely due to illegal hunting. "Sadly this is right in the international trend when it comes to the level of mortality caused by humans," says Stephanie Kramer-Schadt. Because experts have observed other causes such as diseases to a limited extent in the area, the researchers assume on the basis of simulations that illegal killings are the primary reason for the animals' high mortality. While these deaths in the first phase had only a small effect on the population, they rose significantly in the second phase. As the researchers showed, the probability of the population becoming extinct has reached a critical point – at which a small increase in deaths could lead to the entire population dying out. "The probability that the population may die out again is up to 74 percent in an unfortunate case," says Marco Heurich. By the requirements set out by the International Union for Conservation of Nature (IUCN) for a viable population, this risk is too high. 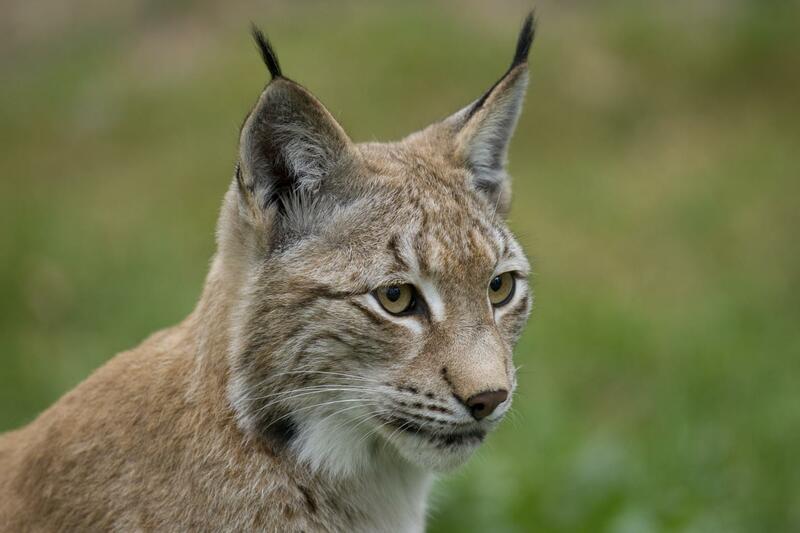 Simulations excluding illegal activities in the Bayerischer Wald and Šumava national parks indicate that these protected areas have contributed significantly to maintaining the lynx population. In order to maintain the population permanently, stopping the hunting and illegal killing of lynxes is the most important step to be taken alongside the preservation of habitats not crossed with roads.